In addition to bringing you the stories of Boston’s hip-hop scene, our mulitimedia series Around My Way is about exposing you to good music. 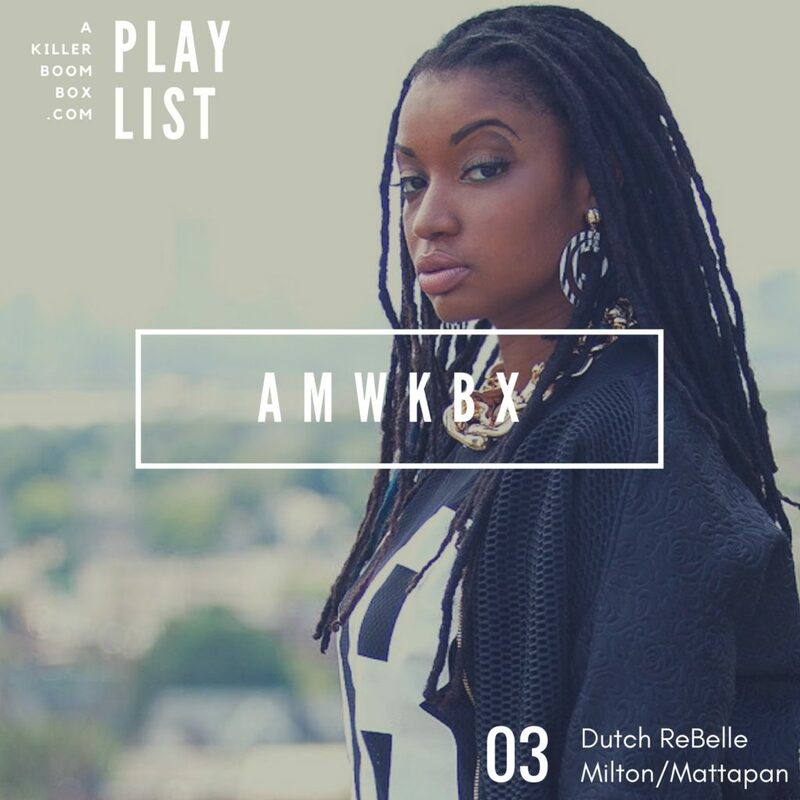 To that end we present a special playlist from one of the city’s notable hip-hop voices Dutch ReBelle. We went through her catalog and pulled together her best solo joints, collabs and guest appearances for your listening pleasure. Hit play and hear for yourself why fans are joining the ReBelle Army. We also dropped list on #AMWKBX subjects Avenue and Millyz. Check those out too. Make sure you follow us on Spotify at KillerBoomBox and stay in tuned with the latest and greatest in music.